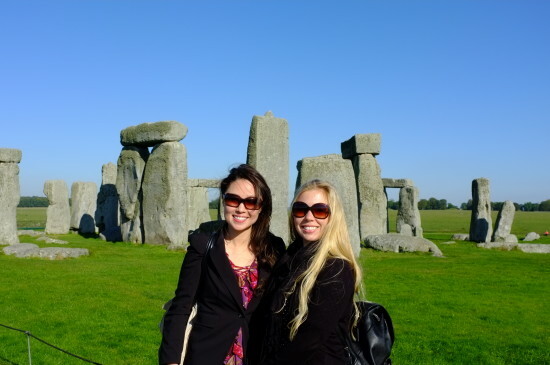 We planned an afternoon bus tour to visit Stonehenge, making for the perfect day trip from London! From Central London (Victoria Station), we joined a tour bus to drive the approximately 90 miles to Stonehenge. 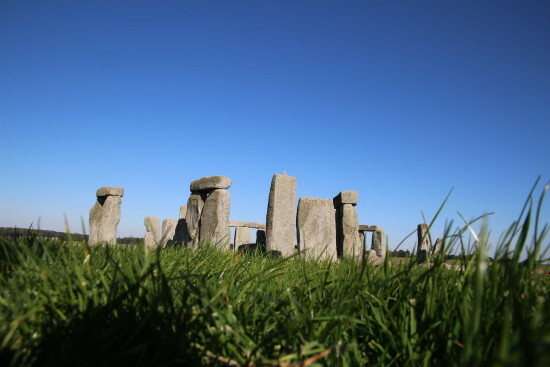 Stonehenge is located in the Salisbury Plain, west of London, about a two-hour bus ride from Central London. 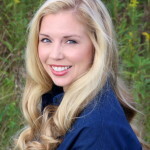 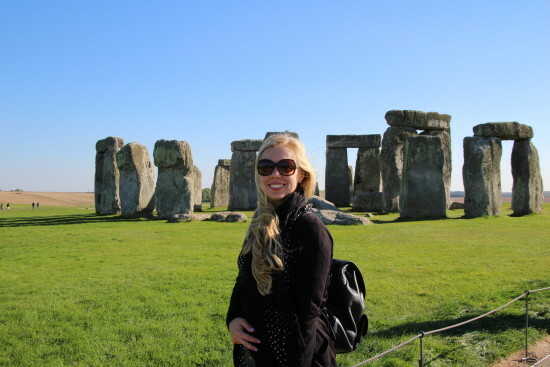 (Not sure about joining a tour group? 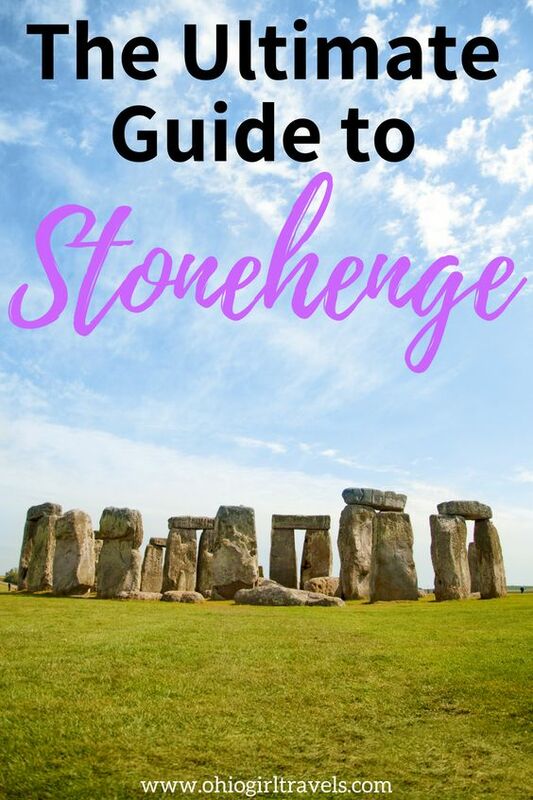 Visitors can either take the train from Central London or rent a car, all options get you to Stonehenge in about two hours.) Joining the tour group was the best option for us, we wanted all the details taken care of. 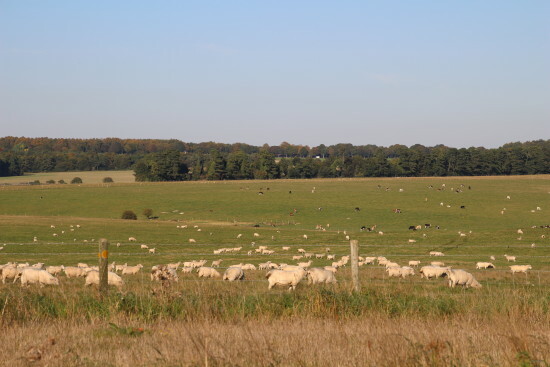 We packed a light lunch and ate on the way to Stonehenge, the two hours went by quickly while we chatted and enjoyed the English countryside from our bus window. Upon arrival at the Stonehenge Visitor Center, our bus driver provided admission tickets and audio guides to use during the self-guided 1.5 hour visit. 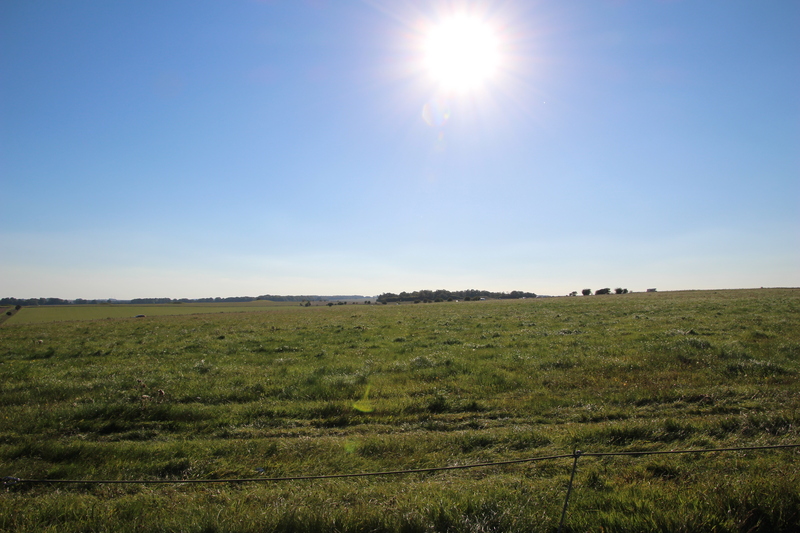 Since the stones are located in a field approximately 1.5 miles from the visitor center, shuttles are provided for an easy five minute ride to view the archeological wonder. 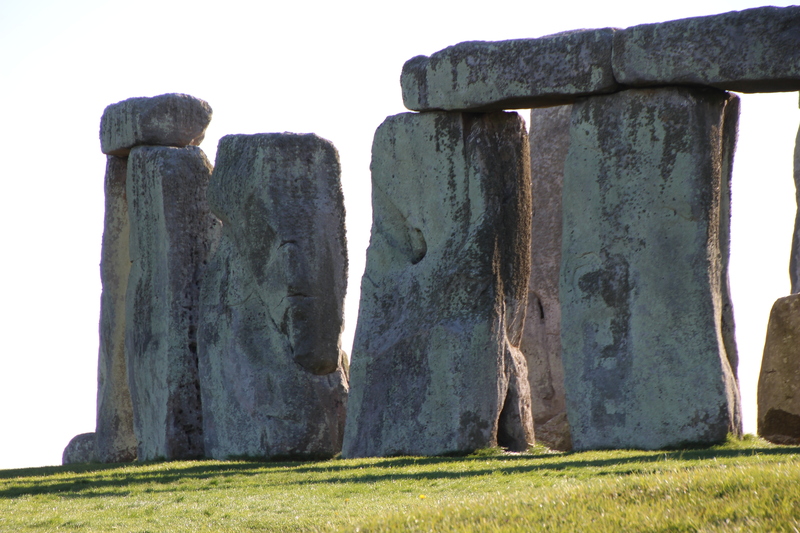 As the shuttle approaches the field of stones, you can see the mystical stones looming before you. A paved pathway leads you to the brilliant stone monument (on the paved path, this is the closest visitors can get to the stones), the paved path becomes a grass pathway which encircles the monument. Amazingly, as you walked around the stones, every position gave diverse views of Stonehenge! 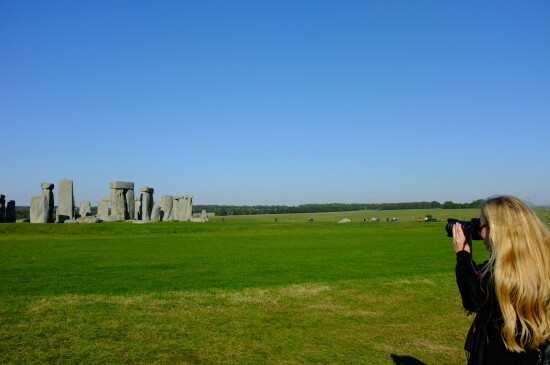 We were greeted at Stonehenge with beautiful sunny skies and brisk winds, making our visit and photographs memorable! 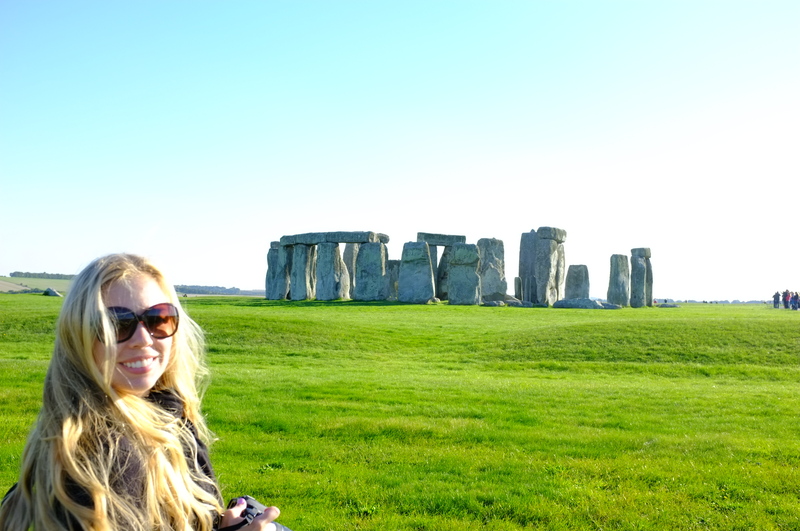 So what is Stonehenge? 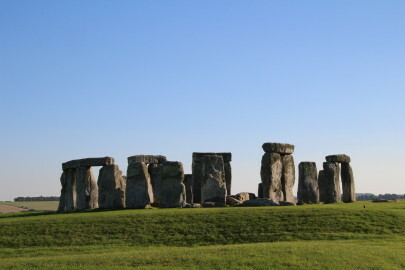 Built almost 5,000 years ago, Stonehenge dates back to the Neolithic and Bronze Ages. 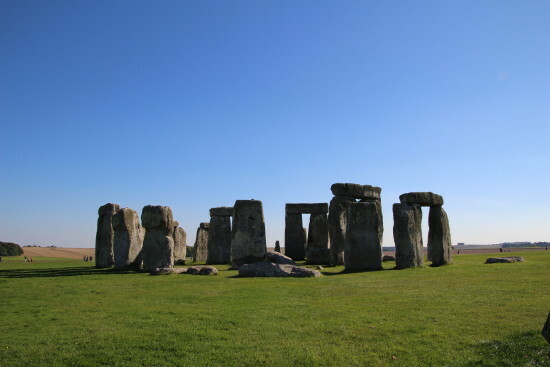 According to archaeologists, the stone monument is the most architecturally advanced and the only surviving prehistoric stone circle in the world. 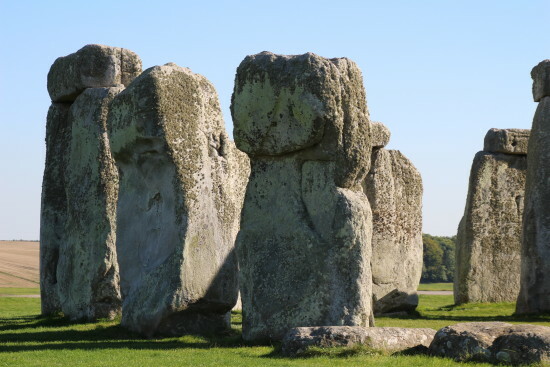 Several design details make this World Heritage Site such an archeological wonder; first, some of the enormous stones have been brought from nearly 150 miles away, and second, the stones have been erected with interlocking joints, unlike any other prehistoric stone monument! 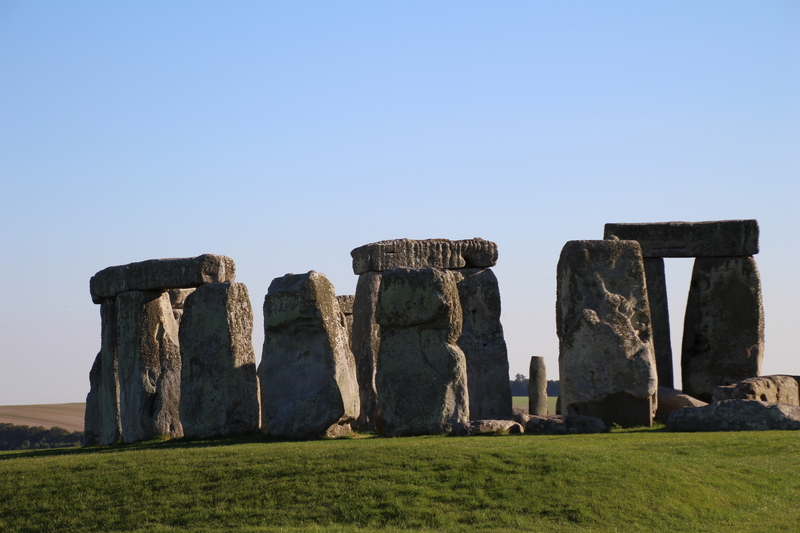 With two types of stones, bluestones and sarsens, and the interlocking joint system the ancient people designed, Stonehenge is quite remarkable for standing the test of time! Although the ancient design is impressive, archeologists and scientists have yet determined what Stonehenge was used for. Most clues lead towards the area being used for cremation and burial sites of the Neolithic people. 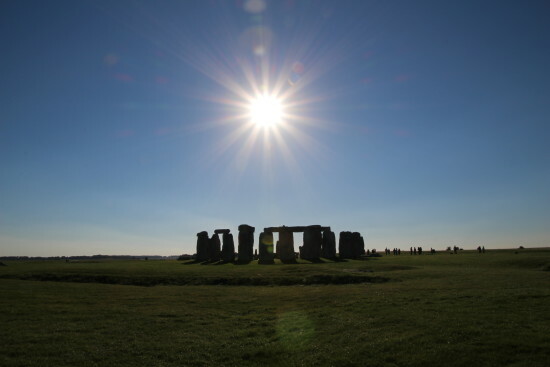 Other uses suggested by researchers are that Stonehenge was used as a prehistoric temple which aligned with the movement of the sun, a Druid or pagan place of worship, or a cult center for healing. 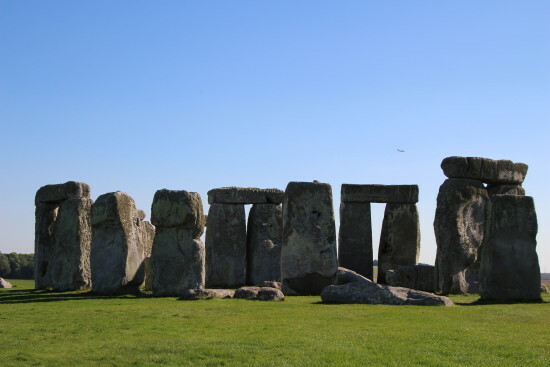 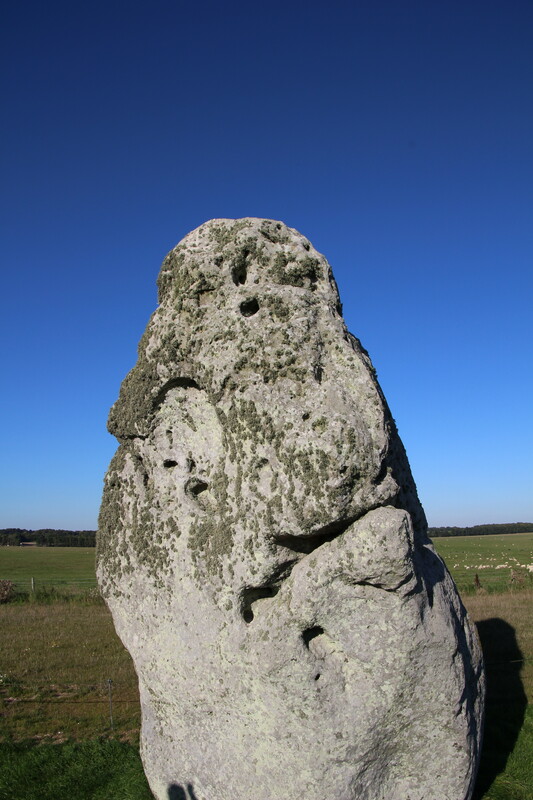 With unanswered questions about the origin of Stonehenge, a visit to these mystical stones can help you decide your own theory about the significance of Stonehenge! With the beautiful sun shining above and the air full of mystery and intrigue, a visit to Stonehenge was the perfect way to spend an afternoon! 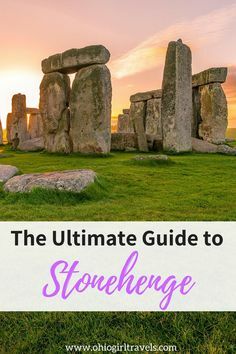 Don’t forget to save this to save this to your board on Pinterest! 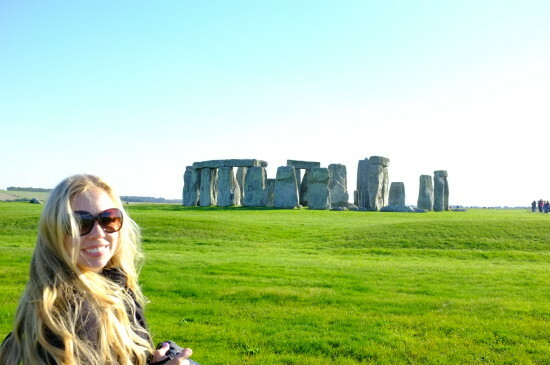 Visiting Stonehenge was always on my bucket list too! 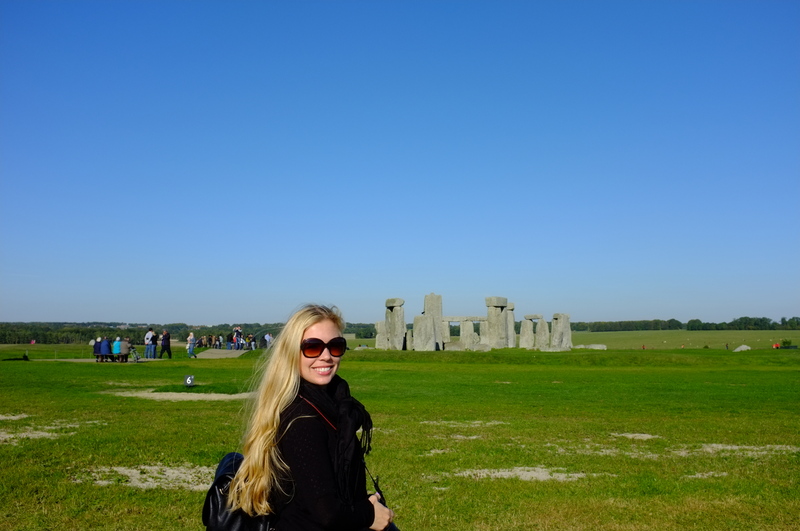 I was sooooo over the moon when I got to visit during my backpacking trip. 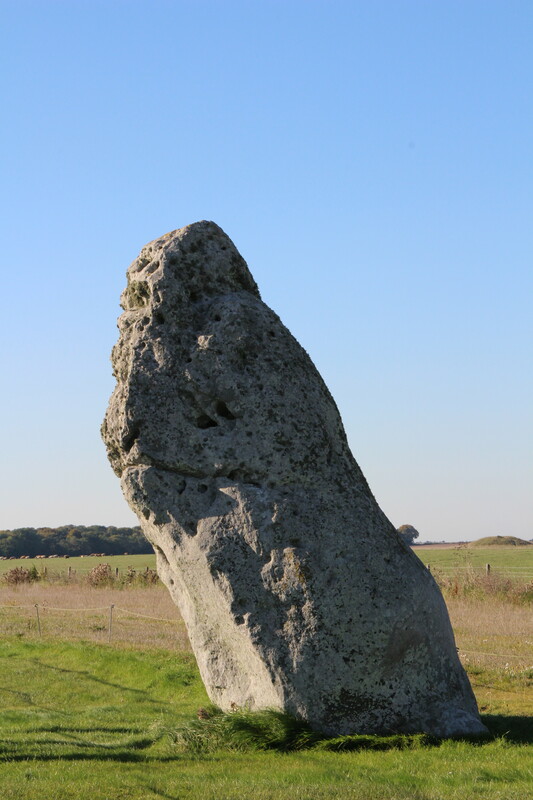 Did you get to go up to the stones? 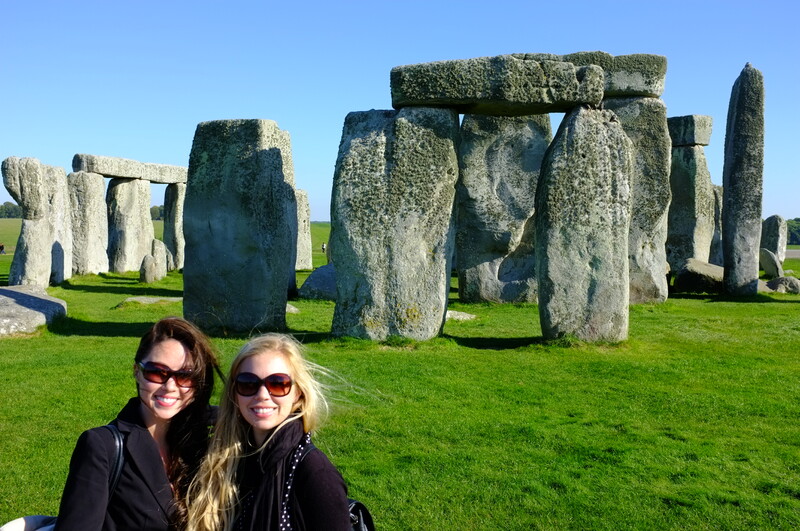 A quick visit to London	Attending my first blog conference at TBEX!